Need a Content Plan to Win on LinkedIn? Whether you are building awareness and driving leads for your business or building influence in your niche to move up in your company or seek other employment, you need a content plan to win on LinkedIn. You can use your content to boost your LinkedIn profile and professional reputation. Businesses know they need a content strategy to build their brand and LinkedIn offers a number of ways to stand out. With a content strategy, you want to identify your business objectives along with the mission of your marketing. Once identified, you can begin to develop ideas on how your content will drive your business goals and find your ideal audience for your content. You can build your brand awareness via your company LinkedIn page, a showcase page and from individuals who are sharing brand messages via status updates. Producing content that is informative and useful to the reader is key. You start to build relationships via your content when you serve those who want to learn from you. In addition to your company page, you can gain brand awareness via Published platform. 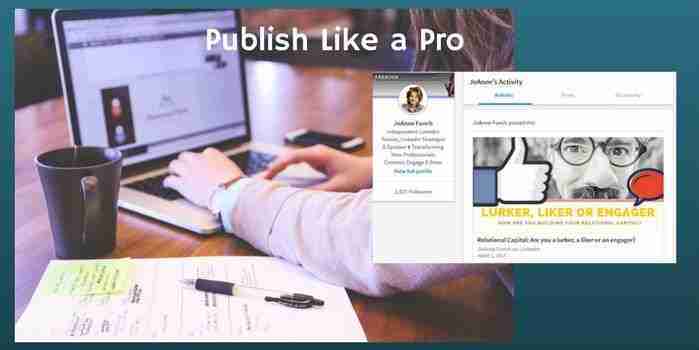 LinkedIn publishing platform is catapulting personal and brand awareness for those who are using the platform strategically and correctly with a well-developed strategy. What Does a LinkedIn Content Publishing Strategy Mean for You? I often suggest a content strategy utilizing LinkedIn’s publishing platform. In addition to brand awareness, it is a fantastic way to share your thought leadership by leading with content relevant to your brand and mission. People are engaging with published posts in large numbers which equals an opportunity to dialogue with your readers. Encourage the reader to comment which could be one call to action in your piece, another might be to offer them additional content if they enjoyed that piece giving you an opportunity to further engage with them. Published posts can be shared across all social platforms and should be repurposed as long as the content is relevant or evergreen in nature. Typically, I re-post an article many times to further engage my audience. B2B marketers focus on LinkedIn as a great source for leads. Content plays a huge role in building trust so offering content that is thoughtful and above all useful. Your content mix could include blog posts, whitepapers, ebooks and case studies which demonstrate real results. In my article How LinkedIn Content Builds Trust and Drives Leads I talk about trust being the reason people buy. Successful lead generation is built on relationships. It is a long-term strategy that takes consistency, a process of delivering great content with a serving mentality. Lead generation requires more listening and less selling which means monitoring what others are talking about and finding a way to get into the conversation. 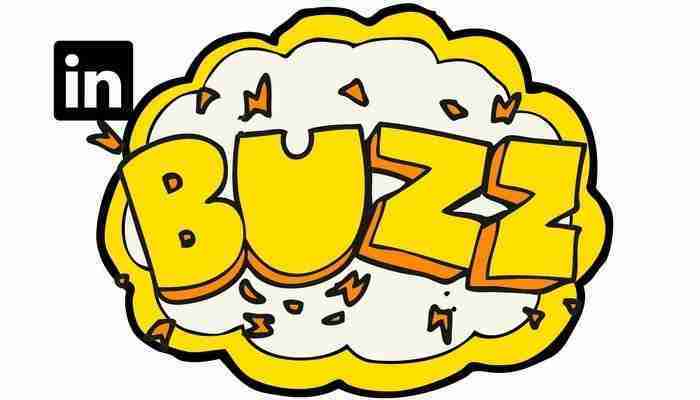 Become that ‘go to’ person that your network begins to know about. We want to test the content we deliver for its effectiveness. There are a number of ways measure success. You can measure the number of people who engage in your content with a like, comment or a share. Change up the text description and see if your engagement changes. Same thing with your custom images that should accompany your post. Change the image and text on the image to see where you get better engagement. 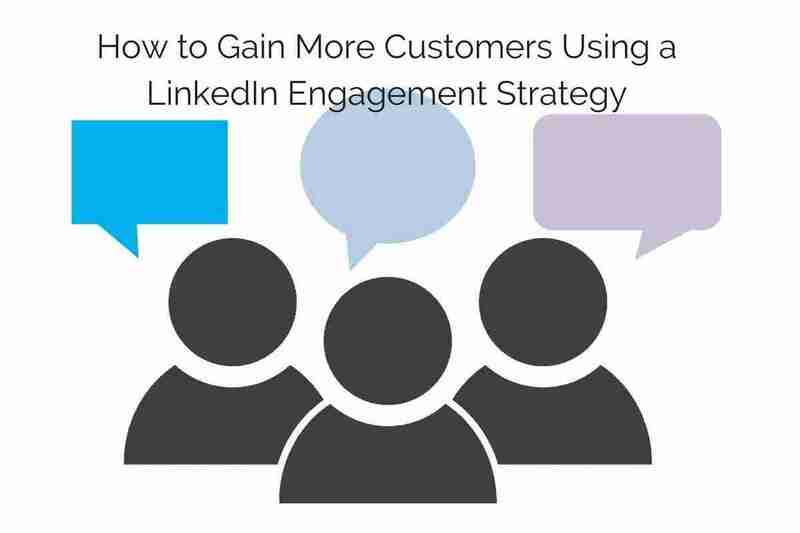 LinkedIn tested the call to action in their text for a free ebook. They tested the text: Download the free ebook VS Download the free guide and their results showed that people downloaded the book with the word ‘Guide’ more than the word ebook. LinkedIn also tested the impact of shorter character length, and saw more than an 18% boost in engagement rate. When they tested an update with a statistic and without, they saw a 37% higher CTR and 162% more impressions for the former. They tested images featuring a picture of a person versus an object (keyboard and smartphone) and proved that a photo of a person generates significantly better results. That’s good to remember when selecting images. If you are running an advertising campaign you obviously will test the click-through rates on your ads, so be sure you test multiple ads. If you have determined your target audience is in fact on LinkedIn, having a focused content strategy will get you better results. Investing the time and resources to do it right and stand out whether you choose to go organic or paid is a must. Here’s a challenge, spend the next few days paying attention to all the posts you see in the LinkedIn newsfeed and jot down or screen-shot what stand out to you? Pay attention the types of images you use on LinkedIn, the text on the image, is there a call to action on the image or in the description. How many characters is the post text and how many people have liked or better yet commented? We can all learn from those who are standing out and building brands that are innovative, interesting and getting noticed by others. Who do you admire as a brand for their content strategy? Leave me a comment below. Help with creating a content plan for LinkedIn publications and advanced professional LinkedIn services for businesses. JoAnne Funch, owner of LinkedIn for Business: knows the LinkedIn content strategies and how to craft a LinkedIn content plan. Expert in supporting content with great images, content for LinkedIn publications, and how to time content posting. 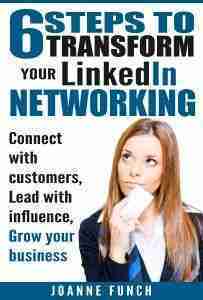 Work with me to know what comprises top content to win on LinkedIn. Check out my Start a LinkedIn Content Plan NOW!